The Carbon Motors E7 prototype patrol vehicle looks something like a cross between an exotic sports car and a prop vehicle from a science fiction film. 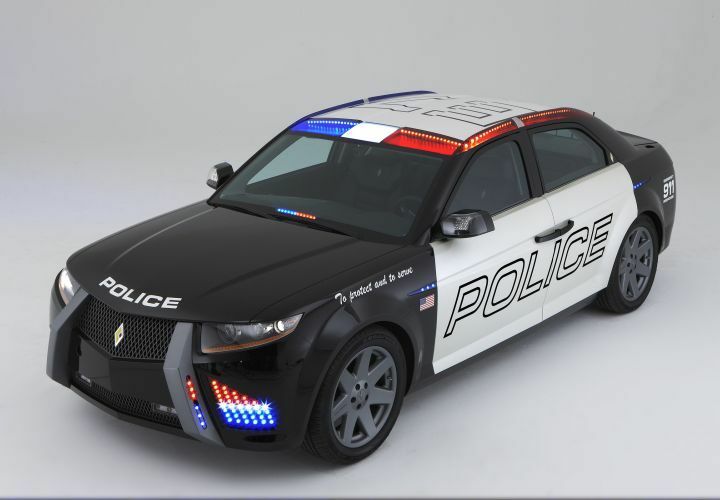 Its body styling is dynamic, muscular, almost startling, and it has the ability to visibly excite police audiences. It's powered by a 3.0-liter diesel engine and rear-wheel drive powertrain.